Ever see an advert so good it made you stop and read it? Chances are it was a poster and for that reason poster printing is a great low-cost form of marketing. You can make them big, bright and eye-catching. You can advertise your business, an up-coming event or a single product. Whatever you need it for, a poster is the perfect solution! Not only are they cheap, but they can be mass produced in a variety of different sizes. 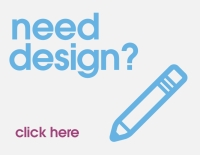 When it comes to designing your poster, there’s a few things you need to take into account. Where your poster is going is key to deciding the size you’re needing. But you must first consider who your target audience is and where they are most likely to see your poster. Places, such as grocery store, subways, bus stops or banks, where people have to wait are always a good place to put your advertising. At Kaizen, our posters come in five different sizes: A1, A2, A3, A4, and A0. Our small format posters are ideal for indoor use – perfect for targeting those punters who are waiting at the bank, pub or grocery store! The large format posters are better equipped for outdoor use, or for bigger coverage areas indoors (think subway stations)! As posters are a cheap form of advertising, you can afford to keep things updated as and when needed. So you can experiment with new designs, fonts and colours. Just remember your basics when creating a new poster – make sure it’s readable, that it has only the basic information on it (who, what, when, and where), and make sure it isn’t too cluttered. In other words, make sure that it is clear what the poster is trying to say. Kaizen also offer waterproof posters in three sizes (A2, A1 and A0). These posters are printed on 300micron Polypropylene film, which makes them a lot more durable than regular laminated posters. Perfect for use in A-Boards, wind masters or outside clip frames. These posters offer something different to the rest. Printed on 285gsm translucent film, these posters are (as the name suggests) designed to be lit from behind. As such, they project a vibrant and colourful image. Common places where light box posters are in use include retail displays, cinema posters and even chip shop price boards! Without posters some of the greatest companies would never have had caught the attention of the public, and would never have achieved those crucial first sales which propelled them into the global super brands we know today. We love our customers and our customers feel the same way about us. Copyright © 2009 - 2018 Kaizen Print Ltd.